Ok folks, it is time to apply some critical thinking to social media. As I blogged about yesterday, it is incredibly easy to trick thousands of people to like a fake account and even post their email addresses publicly on Instagram. Today I found another example on Facebook that was posted yesterday evening. A Danish guy says he won 23.5 million Danish kroner on Lotto and that he will choose two people who like his picture who he will give 75,000 DKK. The problem, it is fake. It took me about 30 seconds to search for the facts on Google. A Danish newspaper wrote about it this morning. According to a representative at Danske Spil, the company behind the Danish Lotto, the coupon in the picture is from February and that no such large prizes were awarded during February. 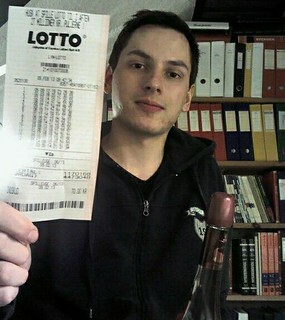 The person in the photo is not a Lotto winner. The image has been shared 62,000 times since last evening. Once again, take a second or two to double check if the image you are about to share is fake or not. It might save you some embarrasement.